"If you can do something for someone else, why would you not do it?" Alexander Hodge was born in Curaçao and moved to the Netherlands at the age of one and a half. As a young boy he was already a bit of an athlete. It didn’t matter what he did, ‘Alex’ wanted to be the best no matter what. Even now he’s very committed to sports, ‘because it brings people together and makes them happy,’ as he puts it. He became a sports icon in Amsterdam and its surroundings. Now he’s also actively promoting Movember. What makes him so enthusiastic? At a young age Alexander and his mother decided that Alexander would become a soccer player. Just like with any game, he became really good at it and played with Omniworld, a big soccer club in Almere. But Alexander got older, wanted to go out more, and realised that soccer could not be the most important thing in his life anymore. He decided to combine playing soccer with a degree in sports, and because of his status as a semi-prof, it was easy to start teaching. He joined the ALO (school for sports) and is currently completing his degree. Just half a year ago, he became a dad for the first time. His girlfriend lives in Dusseldorf and that means that he travels a lot to see his son and girlfriend. "As of January we will start a life together in Amsterdam," he says. Soon it became clear that Alexander doesn't like to sit still. He is a running coach with Nike, has his own boot camp club, teaches and is self-employed. "I love adventure and do anything I can to make adventure part of my daily life," he explains. Why is Movember so important to him? "I think there's still a lot of support needed for a disease like cancer. If together we can find the means to fight this disease, why would we not try to support this cause?" He says he's lost people that were close to him because of cancer. "It shows you how realistic the disease is and how close it can get to you. At that moment you know again how important it is to fight for men's health." And what about mental health; another important pillar for Movember? "That's actually the same. If you can do something for others, why would you not do so? Live and let live! Even if that means I need to give up on some of my limited spare time; I do it with pleasure." Alexander himself has also started an event to raise money for Movember. 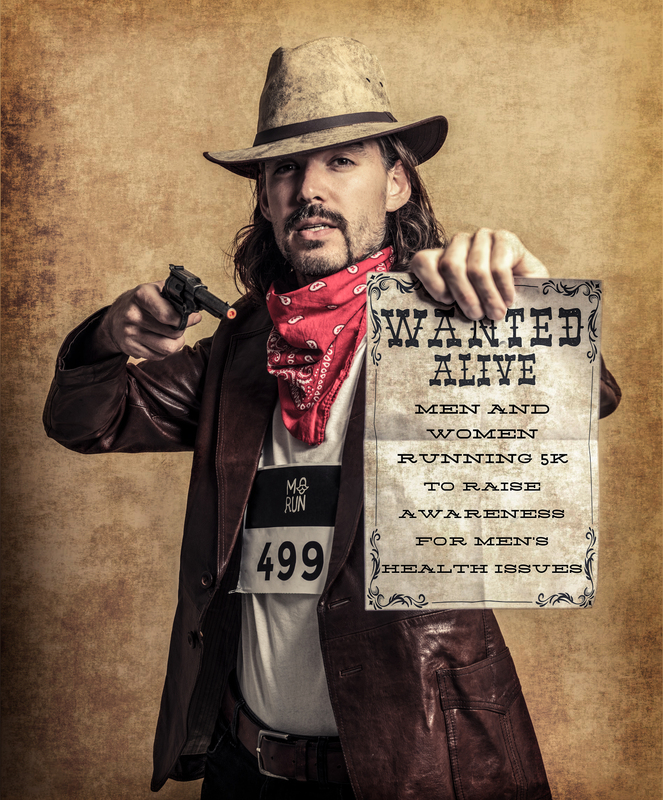 "I already organise boot camps, so now I raise money for Movember through these boot camps. In Almere I'm now hosting a second boot camp. The first time there were only 4 people, but those were super motivated. This motivation gives me energy and that's what it's all about." Alexander got in touch with Movember via A-dam Underwear, that is very involved with the Movember cause and the Movember Run Amsterdam this year. "I met Stephan and Steven in the Nike Store in the Kalverstraat. They were looking for a pair of shoes and we immediately had a click. They asked me if I was interested in making a commercial with them and that immediately turned into a success. The next time they asked me for Movember." How does something like this start? "Oh well, I speak with everyone. We were talking about wakeboarding, which I also do, and they told me that they wanted to do something like that too, but then using horses. They wanted to organise the first World Championship Horseboarding, which took place in IJmuiden. That was obviously amazing!" Movember seems to mean; getting noticed, being rebellious, but also having a lot of respect for those who need it the most. Those three elements seem to describe Movember, A-dam Underwear, the Movember Run Amsterdam, but also you. Is that the power of the Movember event? I think so. If I look at myself; A-dam Underwear was looking for someone who looked muscled with beautiful tattoos. So I said; well, I can do that! I may not have tattoos, but the moustache I can grow with 2 weeks and I have rasta hair. What I find important is that we can enjoy together. If you can do something good for others, then do it. Who does well to others, will receive a lot of kindness!" Will you participate yourself? "Absolutely! As I've said, my girlfriend just delivered my son, and we are trying to get her back into her sporty shape again. We practice together when I'm in Germany. Our goal is to make her run half a marathon in 6 months, and this Movember Run Amsterdma of 5k is a great start for that. I'm actually planning to run it with the stroller. If we take pictures of that, I can tell him later when he's all grown up: look, that was you. You were there then and that was your first run. Wouldn't that be amazing?"